It is for the protection of people and goods that we all think when we talk about traceability. Indeed, there are already many regulatory obligations in this domain. The precise knowledge of the contents of a tube packaging must be clearly identifiable and visible to all, in case of transport of dangerous products. In case of specific handling (do not spill, do not stack, etc. ), the packaging must be informative and notify each handler. This requirement of traceability called “protection” will increase with time and the multiplication of rules of all kinds. 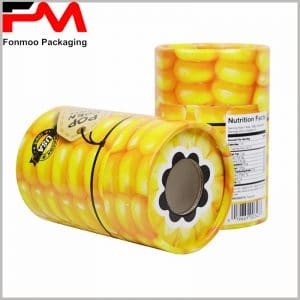 In addition to this increasingly important requirements of securing shipments, the tube packaging will also have to satisfy another equally pressing request: to know the origin of the products and to identify in an instant, the path it has been through. Security reasons may again be the cause of this need, but in most cases this will be a more commercial or user-oriented request. This information to communicate to the recipients on the one hand and the handlers of this packaging on the other hand, is added to which is described above with regard to the protection of goods and people. To another extent, this “physical” traceability of the packaging will be an additional weapon to fight the counterfeit market. Finally, and as we think less frequently, the traceability of the packaging will be a follow-up of the packaging itself. Here again, the latter must meet strict, precise and numerous rules concerning its manufacture and recycling. Being able to know the “life cycle of a packaging” guarantees one to be able to comply with the various legislation in this area and thus allow the design of an eco-packaging. Traceability therefore represents a major challenge for the future of tube packaging, and as a specialist in the field, it is important to get solutions tailored to your business. Because this traceability concerns all the fields of activities and all the companies, so do not hesitate to question us for specific needs and do not miss the practical solutions, we are always at your disposal for any needs!